BOLOCCO, Italy — Today at FCA's Italian proving ground, Mike Manley rolled out the roadmap for Jeep's next five years. Manley has been in charge of Jeep since 2009 and has helped boost sales to more than 1.5 million units globally thanks to the success of models like the Cherokee, Grand Cherokee and Wrangler and submodels like the Trailhawk and Trackhawk. 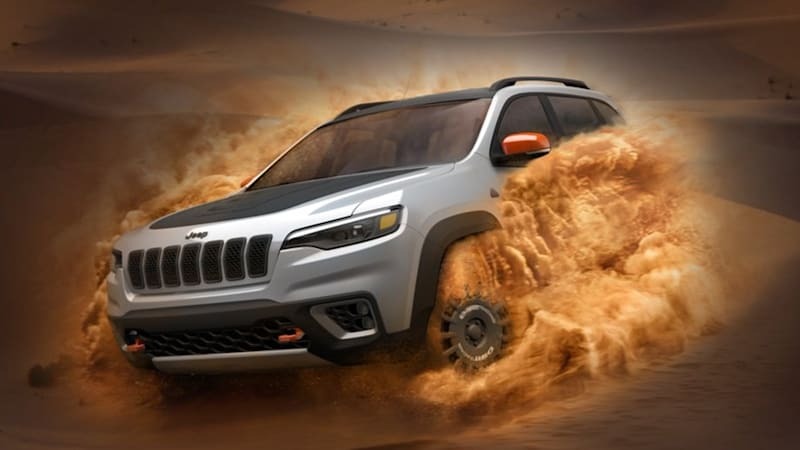 Well, there's more on the way, including new sand-prepped Deserthawk models, the return of the Wagoneer and Grand Wagoneer nameplates, and electrified versions of every model by 2021. While the plan for these next five years is a little less firm than the last one, it does provide the American automaker with some flexibility and breathing room. If you'll remember, by 2018 we were already supposed to have a new version of the Grand Cherokee as well as the premium Grand Wagoneer. Both of those are still coming, just not as soon as Jeep had hoped. Additionally, by 2022 Jeep plans to roll out two new three-row SUVs, new versions of the Renegade and Cherokee as well as the long-awaited Scrambler pickup. All in, Jeep plans to launch two models per year by 2022. That includes eight plug-in hybrids for the North American market. We saw one of the first Wrangler PHEVs at today's presentation. There are also plans to have a Level 3 autonomous vehicle on the market by 2021. Jeep will double down on its heritage, arguably one of the biggest things the brand has going for it. Its rugged image has helped boost sales in a market already clamoring for utility vehicles. By the end of 2018, FCA expects 1 in every 17 utility vehicles sold worldwide to wear a Jeep badge. The ratio should be even better for 2019.